These guided water tours offer serious nature and plenty of fun. Call for daily schedule and book you trip! 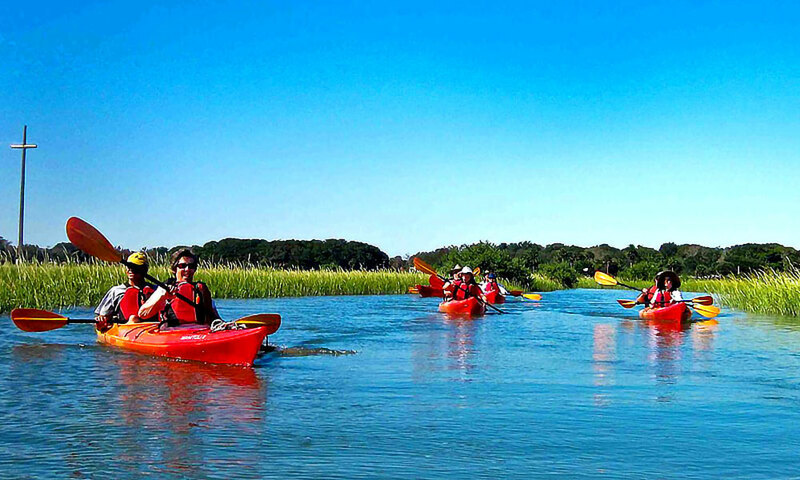 St. Augustine Eco Tours offers a a variety of boating, sailing, and kayaking excursions to explore the beautiful waters surrounding historic St. Augustine. All tours are led by trained naturalists who provide fascinating information on the diverse marine ecology of Northeast Florida for their guests, from explaining dolphin behavior and identifying rare shorebirds to providing sailing lessons and nature photography tips. 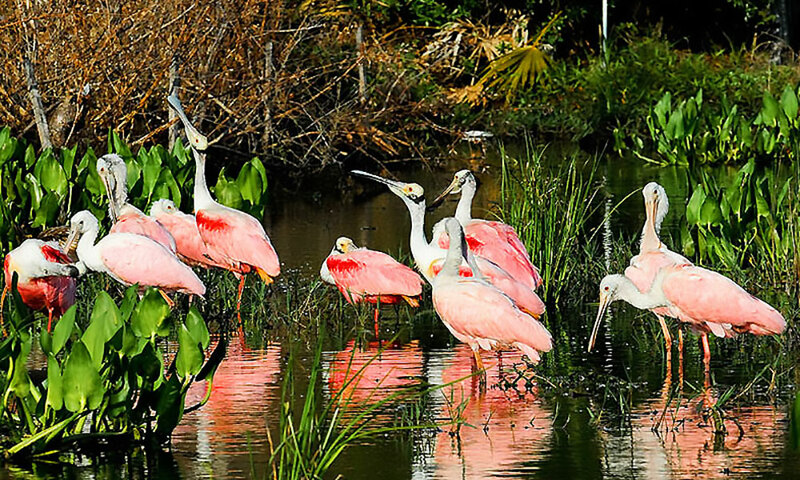 With small groups on the tours and the personal attention of the guides, St. Augustine Eco Tours boasts some of the most enjoyable and informative tours in the nation's oldest city. 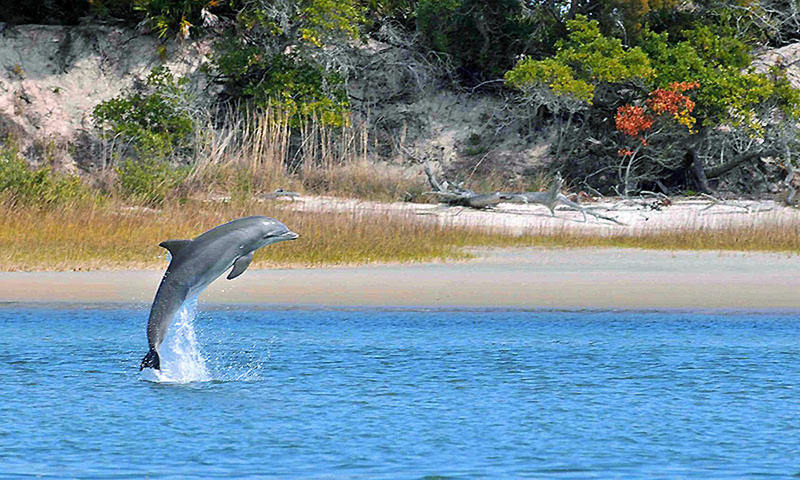 The Dolphin, Birding and Nature Eco Tour is the best opportunity to see a variety of wildlife. The stable 18-foot Explorer boat is perfect for navigating tidal creeks and estuaries or the near-shore waters in search of dolphins, manatees, birds, and more. Eco Tours provides underwater microphones to enable guests to listen to dolphins, snapping, shrimp, and even the occasional drum fish communicate. The captain/guide uses small nets to provide an up-close view of crabs and other floating wonders. Binoculars will help guests to see the details of amazing birds that frequent the shoreline. All ages are welcome on this 1.5-hour tour. Price is $40 for adults, $35 for kids ages 3 to 12, and $15 for infants two years and younger. $225 for a private trip with up to six paying passengers per boat. The Salt Marsh Kayak Tour is great for those wanting a unique perspective of the salt marsh habitat. Every two-hour tour starts with a trained guide demonstrating proper paddling techniques to ensure guests are comfortable with the equipment prior to getting in the water. Guests will load into tandem (two-person) kayaks on the stable floating dock and then gently slide into the water with the assistance of the guide. The kayaking tour includes great views of the historic Castillo as well as sightings of shorebirds and dolphins playing in the estuary waters. First-timers and experienced kayakers, ages six and older, will enjoy this tour. The price is $45 for adults and $35 for kids ages 6 to 12. 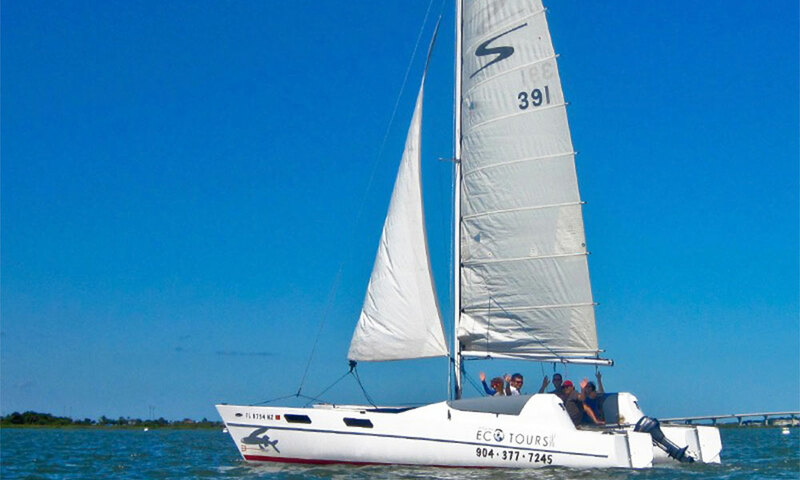 The two-hour Catamaran Sailing Tour is a wonderful option for veteran sailors as well as those that have never sailed before.The stable, 27-foot Stiletto catamaran allows guests to catch some afternoon rays on the trampoline and let the wind take them into the habitats of dolphins and wading birds. Guests are invited to help work the sails if they choose. The tour covers an average of 8+ miles while traversing the Matanzas River or near-shore Atlantic waters. The tour route is determined by wind and tidal conditions. The price is $50 for adults, $35 for kids ages 3 to 12, and $15 for infants two years and younger. A private tour (up to six guests) can be booked for $275. There's also an option for hourly sailing (minimum three hours) for $125 per hour. That fee covers up to 6 people. Eco Tours offers Photography Tours for those interested in capturing unique shots for artistic, commercial, editorial, or personal use. For a private tour of up to 6 guests, the 1.5-hour Photography Tour is $225 and the two-hour version is $275. The Beachcomber Tour is another option for private bookings of up to six people for $275. This tour focuses on learning more about the diverse ecosystems of northeast Florida, taking guests into some of the less-explored areas of the salt marsh and marsh island hammocks, where they'll see fiddler crabs, oysters, sea grasses, marine worms, shells, jellyfish, birds, plants and reptiles. Eco Tours offers customized private tours for corporate outings and team building adventures on kayaks or sailboats. And for the romantically-inclined, there's Watery Weddings and Proposals. These tours are fully customizable. For more information, call (904) 377-7245. St. Augustine Eco Tours is located at the downtown St. Augustine Municipal Marina, just two blocks south of the Bridge of Lions. Reservations are strongly recommended. I go to St. Augustine twice a year and the Ecotour is the highlight of the trip for me and visitors as well! They practice what they preach and always show us so much wild life. Don't miss this! Just returned from a beautiful evening spent on the river enjoying the birds and dolphins! Spectacular! Well worth the money, we will do this again and again!